Holiday cottage located on a 3000 m² plot. 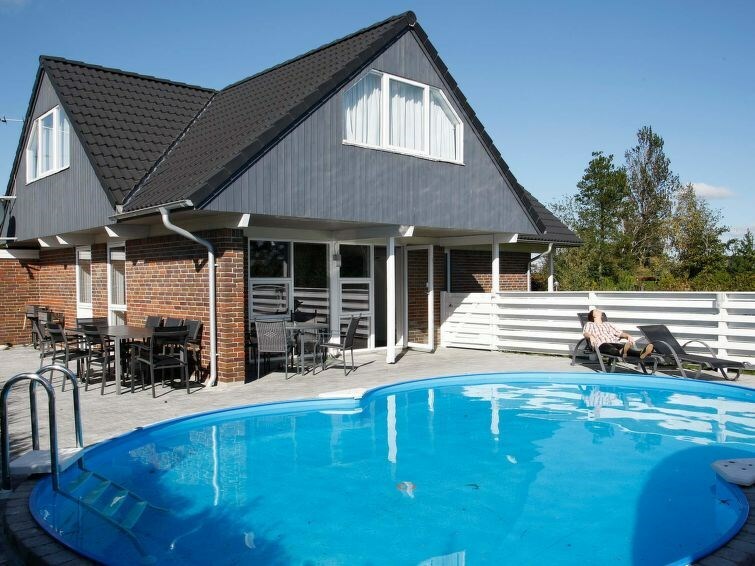 The house was renovated in 2006 and features an outdoor swimming pool. Note: pool may be use from 1. June - 31. August. There is also a whirlpool and sauna. Large living room with wood-burning stove and 42" flat screen TV. Cosy dining room in open connection with the kitchen, 4 bedrooms, bathroom, guest toilet with shower and a large annex with sauna and cold water shower. Covered terrace with furniture and a balcony with views over the fjord. The children can play on the great plot, where there are swings and a sandpit. Double carport. 4 bedroom: (1DB)+(1DB)+(2B)+(2B), cot 150 cm.